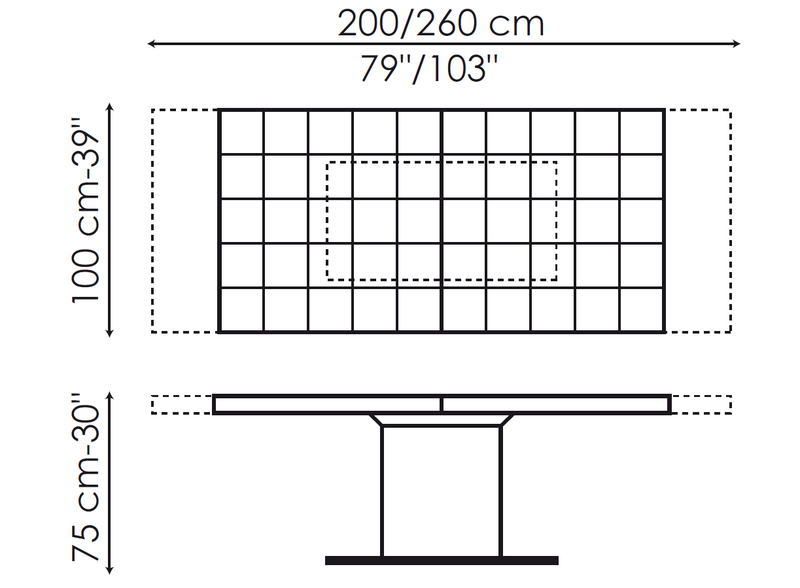 Lingotto | Home Studio, Inc.
Lingotto is an extending table with a glossy stainless steel base. 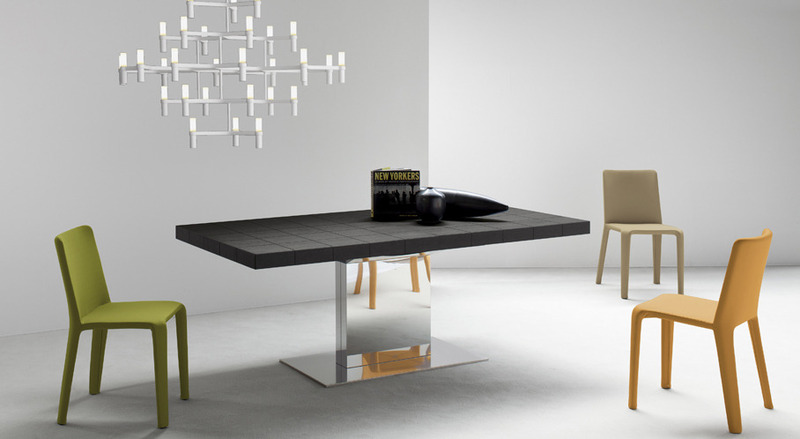 The table top, embellished by an engraving with a lattice-work design, is available in blackpearl glass, black acid-treated glass and white acid-treated extra light glass or in anthracite grey polished oak. The automatic extension mechanism is characterised by a central extension in matt black or white lacquered wood.